The chief aim of the Peace Love OM Project is to provide opportunities that inspire, educate, and enable the youth of this planet to engage their "TAGS" (Talents, Abilities, and Gifts) in "Seva" (loving service) in order to raise cultural and communal awareness as well as promote the celebration of love, peace, and harmony within the diversity of humanity. Randall and Kristin of the Bhakti House Band passionately believe that it is every human’s responsibility to use their talents, abilities, and gifts to serve and uplift humanity. Their non-profit organization, the Peace Love OM Project, reaches out to children of all ages to provide projects that allow them to do just that. 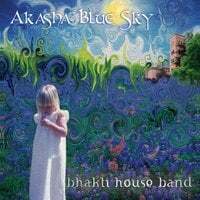 Furthermore, the title track of their recent release, Akasha Blue Sky, is a collaboration of 18 children from various cultures and traditions singing for Love, Peace, and Harmony and is quickly gaining attention from philanthropists and peace organizations all over the world. Proceeds from the sale of this CD benefit the Peace Love OM Project, a project under CLEF (Conscious Living Empowerment Foundation), 501(c)3.